The music of Disney’s live action films will be featured in the upcoming D23 Expo, and this week, we continue to prepare for the Expo with a closer look at some of the recently announced panels and performances scheduled for the weekend of July 14-16. With topics ranging from the Golden Girls to Hercules, D23 has a stellar list of events and sessions with enough options to please almost any type of Disney fan. Join us as we talk about options and strategies for this upcoming fan convention. Next, we welcome Disney historian Jeff Kurtti back to the show to discuss the music of Walt Disney’s live action films. 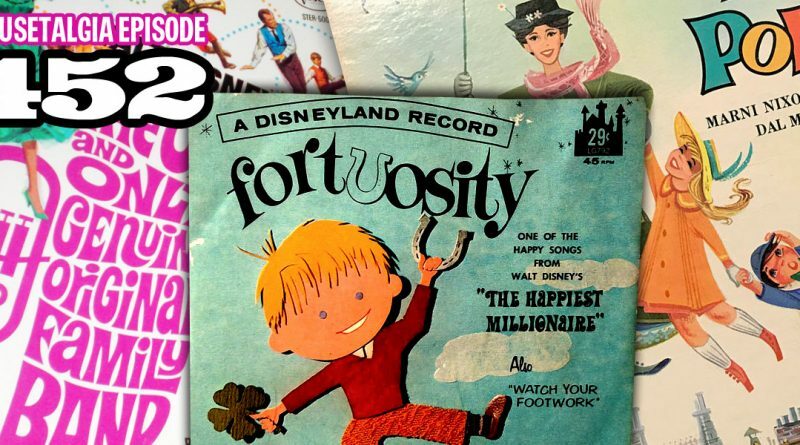 It seems that the songs from Disney’s animated features get a lot of attention and love – but what about some of the great tunes from Disney’s live action filmography? Kurtti talks with us about some of that music, and some of the performers behind it, and we discuss why it doesn’t seem to be highlighted as much as it should be. Plus – Becky bakes some Jolly Holiday Whoopie Pies with special guest baker Button; we announce Happy Place Welcome, the curated vintage Disney collectibles subscription from Jeff and Kristen; Jeff continues telling the saga of selling a poster at auction; and an Ears to the Ground reporter calls in from the beginning of the Summer of Heroes at Disney California Adventure.